The Raiders signed Butler from their practice squad on Monday, Matt Schneidman of The San Jose Mercury News reports. Analysis: Butler has spent the entire season on Oakland's practice squad after having not made the team during roster cutdowns, but he now has a spot on the 53-man roster following the placement of Daryl Worley (shoulder) on injured reserve. 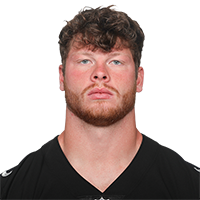 He'll work to make his NFL debut during Oakland's last two games of the season, but he'll have difficulty earning snaps behind Jared Cook, Lee Smith, Derek Carrier and Darren Waller. Butler was waived by the Raiders on Saturday, the Associated Press reports. Analysis: There wasn't room for Butler on the Raiders' 53-man roster with Jared Cook, Lee Smith and Derek Carrier handling the duties at tight end. There are no videos available for Paul Butler. Click here to view all videos.